"Thundere" I love it, to whoever came up with that I must say, nice job! 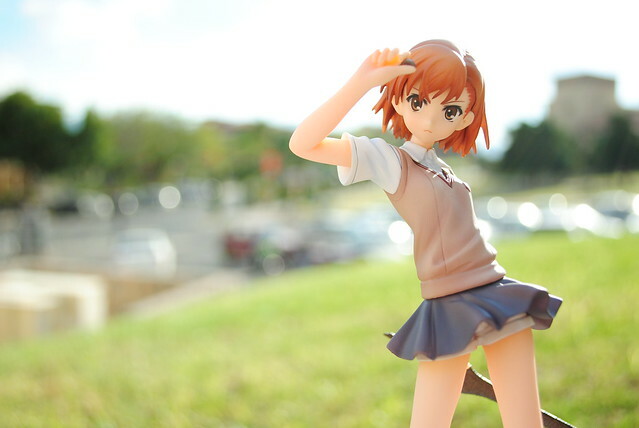 Anyways, I was not feeling motivated at all when taking pictures, I was pretty much in a slump. So I decided a change in scenery will suffice to fix that. 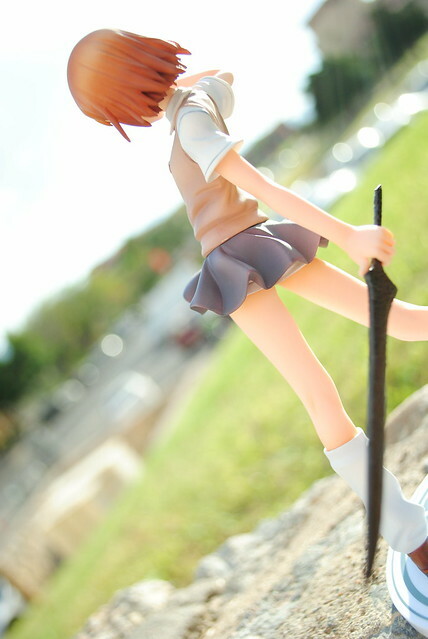 However, I rarely take pictures outside under the sun and I never done so for a regular scaled PVC figure. Add the fact that I did this on a whim without much thinking and things didn't work out too well for me. I ended going out on a windy day, windy days are not fun for taking pictures outside. While the wind wasn't too big of a problem a side effect was. Because of the wind the clouds were moving in the sky quite fast, continuously covering and uncovering the sun, continuously changing my lighting conditions. 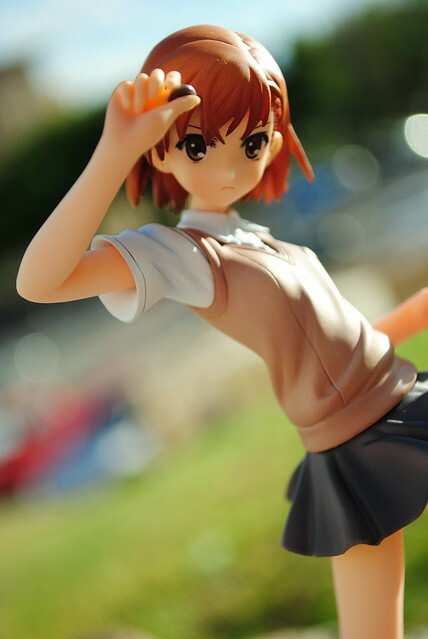 I also totally forgot to use my lovely reflector so I didn't bounce enough light to illuminate Biri Biri. Speaking of illumination, totally slipped my mind that I would have a hard time looking at my camera's screen outside. I wasn't able to see how pictures really looked after I took them. 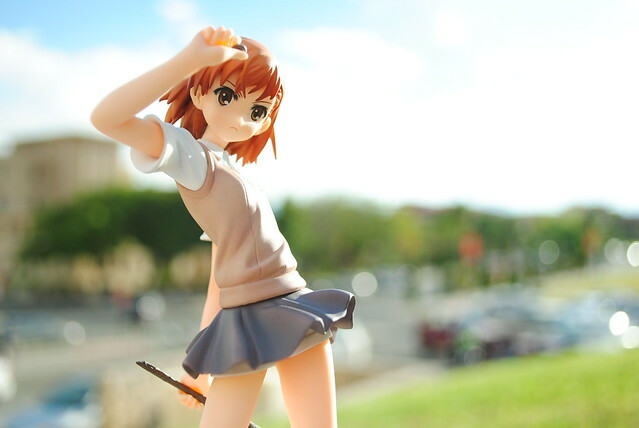 Since I did this on a whim and had not planed on shooting Biri Biri, I didn't think at all of what angles I wanted to shoot. 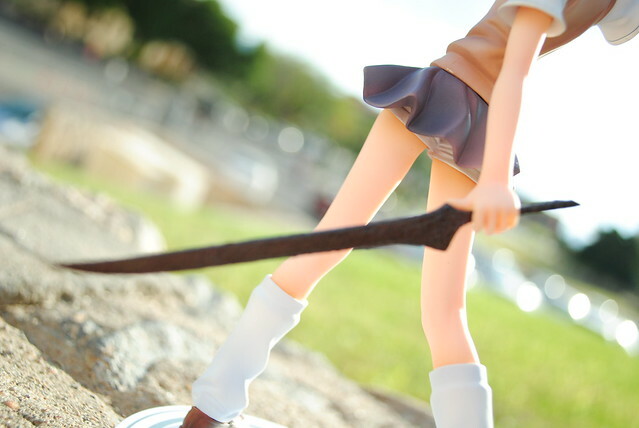 Nor did I think on what scenery would be most appropriate for her. Given that situation I can't help but feel the pictures I took are pretty boring and nothing special or creative. Going off in tangent for a bit but I was wondering are loose socks still popular in with Japanese girls. 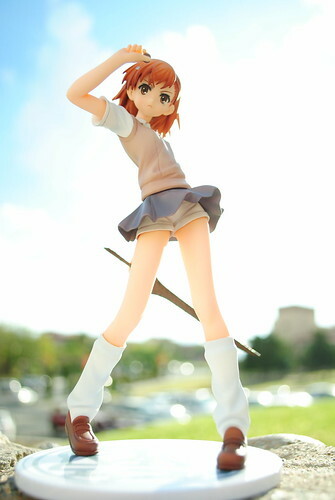 I must say I'm a big fan of them so Biri Biri is right up my alley in that regard. Coming back to the topic at hand. Even though I did not have the results I would have liked I think of this as a nice learning experience for me. Plus I was able to reassert that I really don't feel embarrassment or anything when I happily take pictures. If anything I wanted to hurry and finish because I found it quite tiring kneeling on concrete and what not to take the pictures. I will probably try this again. 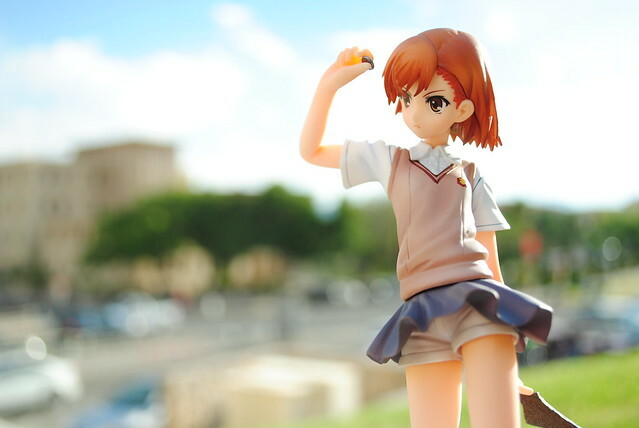 Once more I will go out and this time find a suitable location and conditions and take pictures of Biri Biri. Next time too I will try to think of better shots to take as well. I will mention one last thing, everyone is such a pervert. Whenever I upload my pictures to flickr it's always the up-skirt pictures that get most views right away or any views at all.